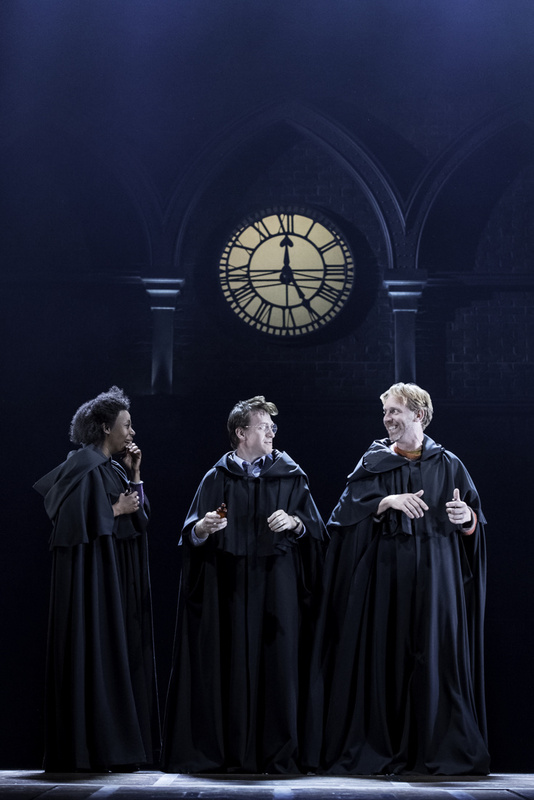 The Broadway-bound Harry Potter and the Cursed Child, which nabbed a record-tying 11 nominations, broke the record for the most wins at the Oliviers with nine, including Best Best New Play. (The previous record was held by both Matilda the Musical and The Curious Incident of the Dog in the Night-Time, which each won seven.) Stars Jamie Parker, Anthony Boyle and Noma Dumezweni received the awards for Best Actor, Best Actor in a Supporting Role and Best Actress in a Supporting Role, respectively. Tim Minchin's new Broadway musical Groundhog Day had a day worth repeating. The show, which made its world premiere at London's Old Vic Theatre and is currently playing at Broadway's August Wilson Theatre, nabbed the Best Musical Award. Headliner Andy Karl earned the award for Best Actor in a Musical. Meanwhile, the Glee alum Amber Riley took home the prize for Best Actress in a Musical for her performance as Effie White in Dreamgirls. As previously announced, the presenters and perfomers made for a supremely star-studded evening hosted by comedian Jason Manford on April 9 at the Royal Albert Hall. Take a look at the winners' list in full below!